Alright, it's time to break out all of those craft supplies you got for Christmas or head over to the craft store & spend those gift cards! Create a really cool DIY Abstract piece of wall art for the New Year! 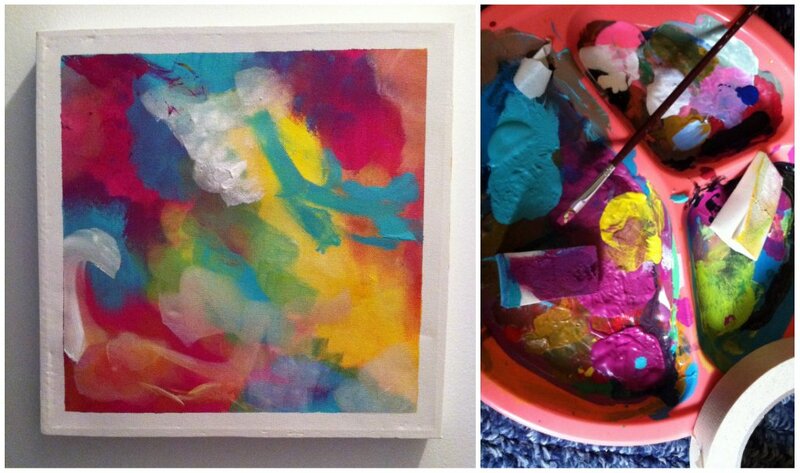 To me, abstract art is all about experiencing & experimenting with color. There is a whole study of color theory you can read about but I like to keep it simple. Just play around & find what looks good. Choose colors that compliment your home or a specific room or just choose colors you like. Use sites such as colour lovers to pick out color pallets that appeal to you. 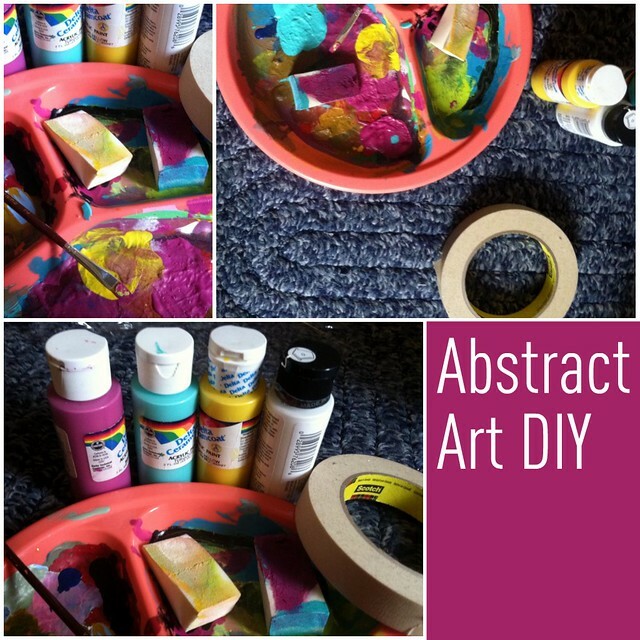 Browse sites like Pinterest or Anthropologie for some great Abstract inspiration. Check out this Dorm Dec Wednesday post with some abstract love & color inspiration that inspired this Make it Monday post. Do you like abstract art? Do you find it cool & fun to decorate with? those are beautiful!!! love love them! happy new year!